I am celebrating Easter with my family tomorrow. I’m not terribly religious, but Easter would be a BFD if I was. I loved Easter as a kid and I still kind of do. It symbolizes springtime, white and bright colors, and bunnies (of the chocolate variety). 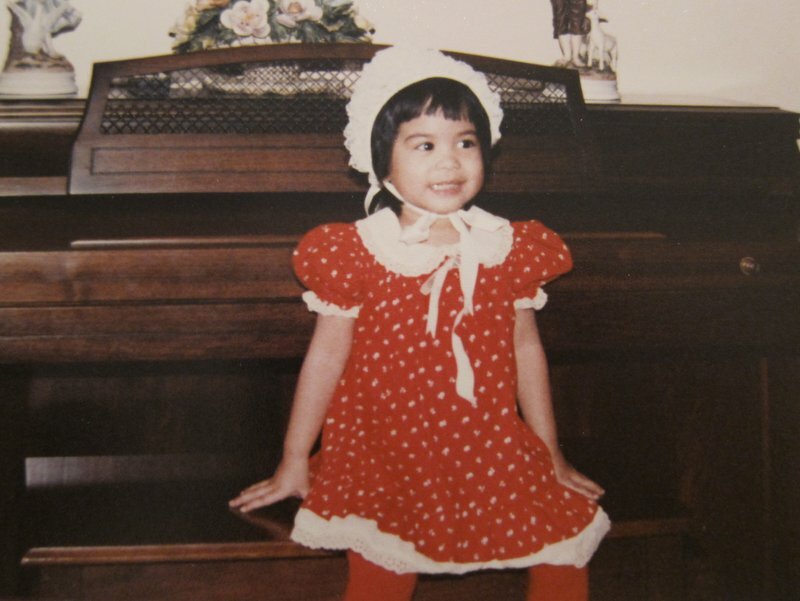 Growing up, it meant that I got to wear one of my fancy dresses to church. My Mom usually prepared a lamb. It’s a big deal because we don’t often have lamb. In addition, as a family, we usually don’t eat any meat for at least a week leading up to Easter. Easter, 1982. When else will I get away with wearing that fabulous head accessory? The fact that I’m excited about the veggie smorgasbord proves how much my eating philosophy has changed in the past several months. It also poses an interesting challenge that I wasn’t prepared to meet this holiday: Start new holiday food traditions that are vegan. Will I cook something that’s especially difficult or time-consuming? Will I choose more exotic ingredients? These traditions are mine only, for now anyway, so I’m in complete control. To make the challenge more, uh, challenging, I want to avoid having my own plate of vegan food that doesn’t mesh with everything else on the table.